Our attempt to explore Britain a couple of days at a time (and on a budget) continues. Earlier this week we ‘did’ York. I didn’t take many photos – my camera is small, but not pocket size, so not ideal for sight-seeing. 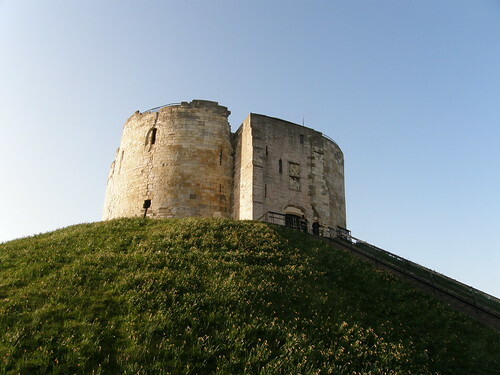 The places we visited and things we did: Clifford’s Tower, Jorvik Viking Museum, a ride on the Wheel of York, a horse-drawn carriage ride around the city centre, a walk along the walls incorporating a visit to Micklegate Bar where we all enjoyed trying on replica helmets from different periods (all very heavy), the Railway Museum. We hoped to include a tour of York Minster, but when we realised how much it would cost we decided to leave that until our next visit. There was much debate during our visit about which were our own personal highlights. For me it was just wandering around the Shambles and the other older parts of the town. On our way over to York we called in on the Adopted Yorkshirewoman (AYW) and her brood in Harrogate . 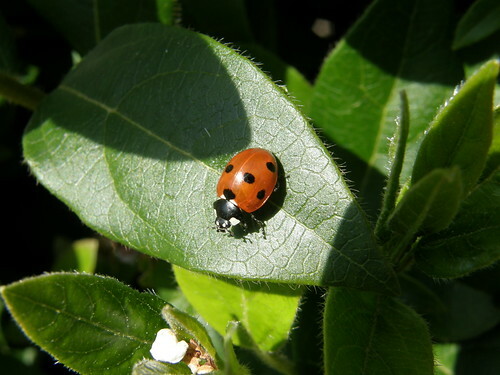 With the sun shining, our brief stop became an extended picnic lunch in their garden and then a short afternoon stroll. All very pleasant. 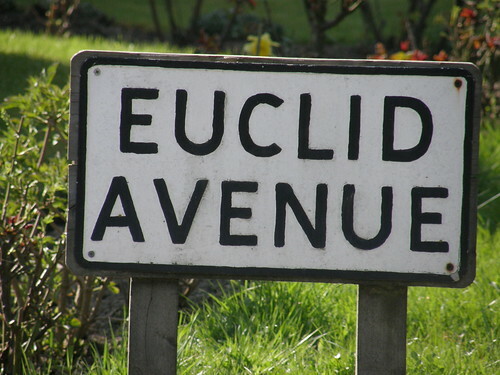 I was particularly excited that we walked along Euclid Avenue, though nobody else seemed to share my delight* (the AYM would surely have understood, but he was away in Knoydart backpacking). 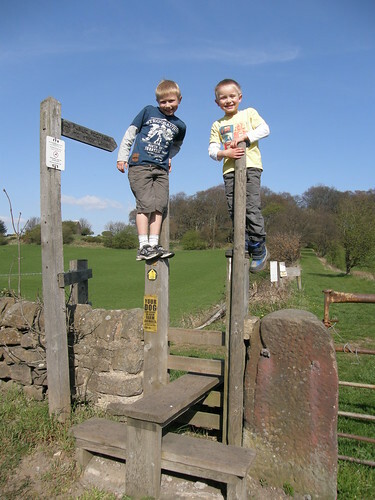 B and S wilfully misunderstand the purpose of a stile. *Leaving aside the mathematical importance of Euclid’s Elements and its axiomatic approach, the first English translation is fascinating, both for John Dee’s preface which includes a schematic showing the various branches of mathematics in the 16th Century (Thaumaturgike?) and also because it was arguably the world’s first pop-up book. 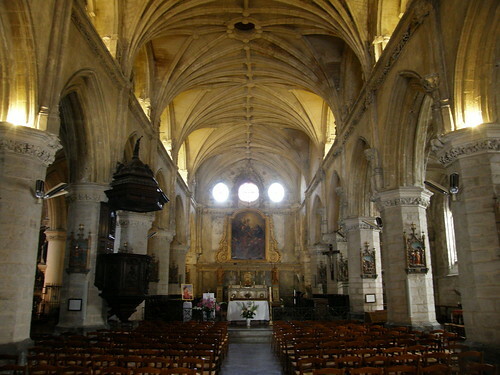 After our get together in the Vosges we headed north for a week in the village of Preures in the Pas de Calais. 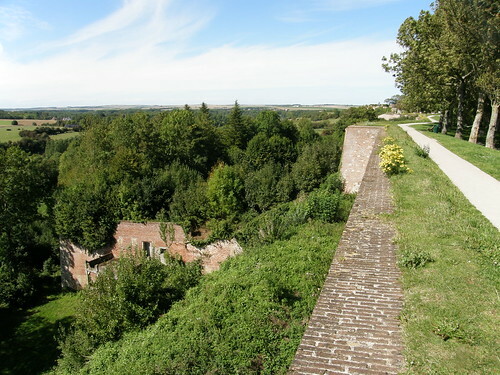 The fortified town of Montreuil-sur-Mer is nearby and provided us with a very pleasant day out. There’s quite a drop off the walls and it’s hard to imagine anything similar in the UK without seeing a fence and a plethora of ‘danger of death’ warning signs. You might notice the lack of ‘mer’ – the sea has retreated considerably since the place was named, but the Canche flows past on it’s way to Le Touquet. We choose the day of our visit judicially – there was a festival of painters. 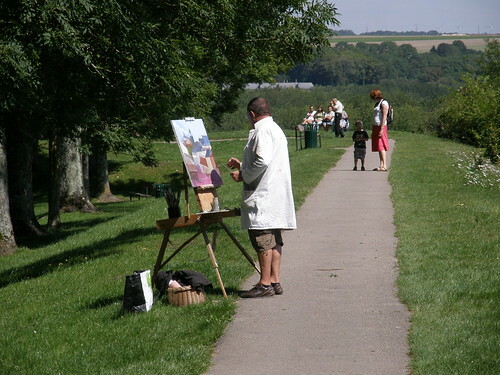 All over town there were artists, some painting, some selling there art, many doing both. There was also some sort of competition being judged in one of the towns squares. 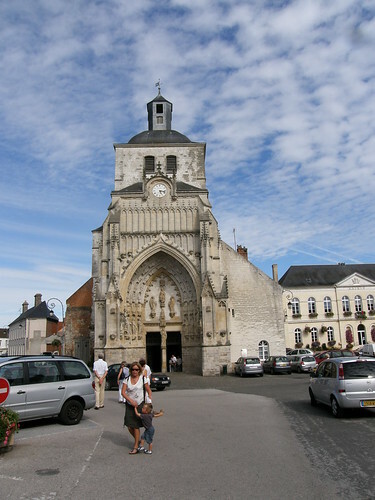 We sat outside the creperie on the picturesque, cobbled, rue de clape en bas and played Uno whilst we waited for our pancakes and ice-creams. 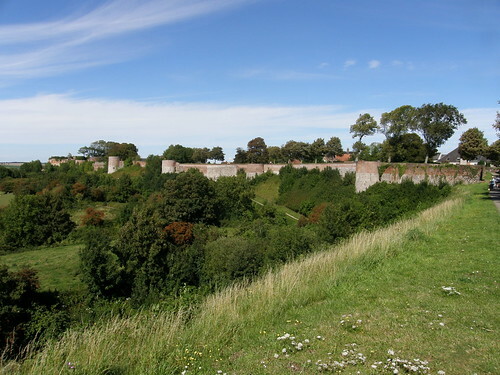 We had a pretty full day without even doing a tour of the citadel – the oldest part of the fortifications. We were parked by this grand old church, which I think is Saint-Saulve abbey church, so we naturally finished our visit by poking our heads inside. 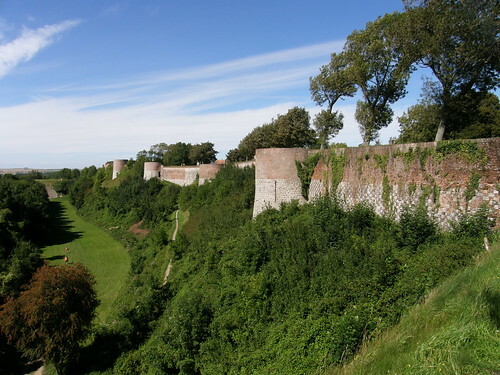 Later in the week we had a half-day in Boulogne, which also has a walled city at its heart. 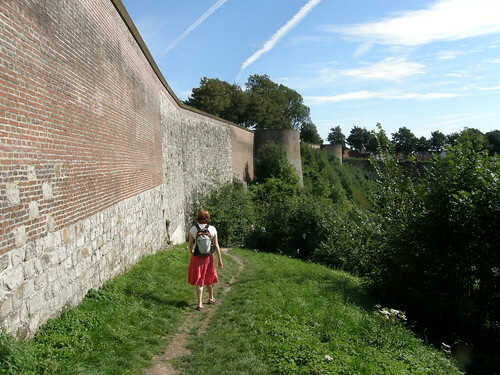 We did a complete circuit of the wall there – but it’s not anything like as extensive as the wall at Montreuil.